Surround yourself with majestic Rocky Mountains and down-to-earth cosmopolitan delights. The Ritz-Carlton, Denver is the city's first and longest running AAA Five-Diamond hotel, bringing luxury to a new altitude. Whether you need to spend the day close to downtown's Financial and Business District or you want to take in the offerings of LoDo or Larimer Square, you are always just steps away from the very best that Denver has to offer. The Ritz-Carlton, Denver features 202 spacious guest rooms including 47 suites, 32 Club Level rooms and one Ritz-Carlton Suite. With the largest guest rooms in the city, our Denver hotel provides sweeping views and luxury to match. 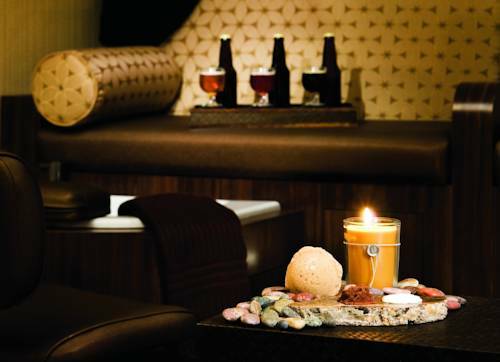 The Ritz-Carlton Spa is an award-winning facility with a salon and is open to the public; the Spa is the perfect for a relaxing escape in the heart of the city. Elway's Downtown: Upscale steakhouse located in the lobby of the hotel; serves breakfast, lunch and dinner. Daily Happy Hour 4-6pm. Private Dining Rooms.